A person used to be able to simply order a dozen oysters. No more. Raw bars present patrons with lists of dozens of oysters to choose from. Wellfleets are prized in New England, New Yorkers love their Blue Points, and Kumamotos rule on the West Coast. There are just five species of oysters harvested in the U.S.; all other differences come from where they live, the water they filter, and how they're handled. Pacific oysters are small and sweet and the world's most cultivated oyster. They are growing in popularity in both Europe and the West Coast, where they are starting to over-run the native Olympia. Pacific oysters used to be used to describe all small Pacific oysters like Kumamotos and Miyagis. Kumamotos, however, were found to be their own species. Pacifics have a distinctly more fluted, sharply pointed shell than Atlantics or European flats. Pacifics are usually named after where they are grown, such as Totten Inlet and Fanny Bay, but some are trade names such as the justly well-known Sweetwater oyster from Hog Island Oyster Company. Kumamotos used to be lumped in with Pacific oysters, but it ends up they are their own species. Many people are shocked to learn that Bluepoints and Wellfleets, Malpeques and Beausoleils are all Crassostrea virginicas, as are some 85% of oysters harvested in the U.S., including most of those in the Gulf of Mexico. True bluepoints are raised in Long Island's Great South Bay where they were first found. 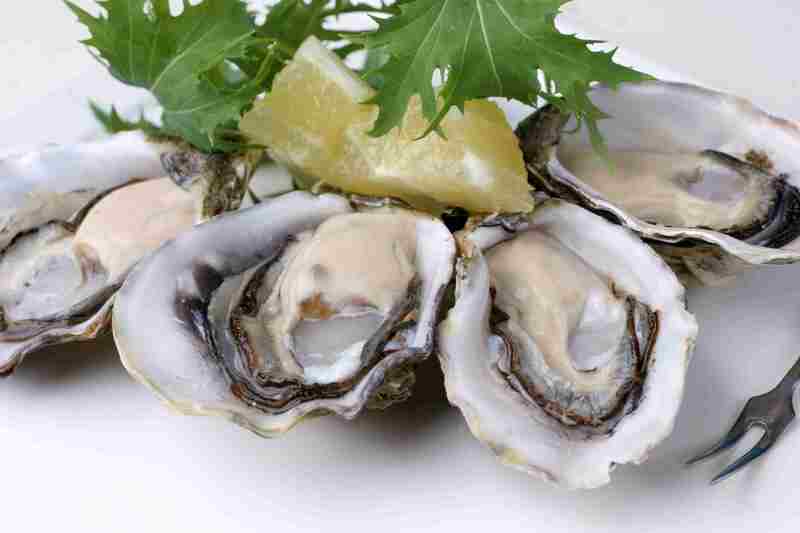 Today, "bluepoint oyster" is often used as a general term for any Atlantic oyster served on the half-shell, i.e. "New Jersey bluepoints" and "Virginia bluepoints" that can be found at ​local shops and farmers markets in these respective areas. European flats are often called Belons. While Belons are European flats, not all European flats are Belons; Belons must be grown in the Brittany region of France. Once the most common oyster in Europe, Europeans are increasingly appreciative of Pacific oysters while Maine and Washington state oyster farms are increasingly charmed by European flats. European flats are characterized by their smooth flat shell and lovely seaweed and sharp mineral taste. They have a meaty texture and, for those used to different kinds of oysters, almost a crunch to them. Olympias make the tiny Kumamotos look like giants, often coming in about the size of a quarter. They are the only oyster native to the West Coast of the U.S. Their popularity in San Francisco during the Gold Rush almost wiped them out, and they were believed to be extinct for decades. Wild populations still exist and are strictly protected. Olympias at the market and in restaurants are cultivated, mostly in the Puget Sound and British Columbia. Olympias are sweet, coppery, and metallic.